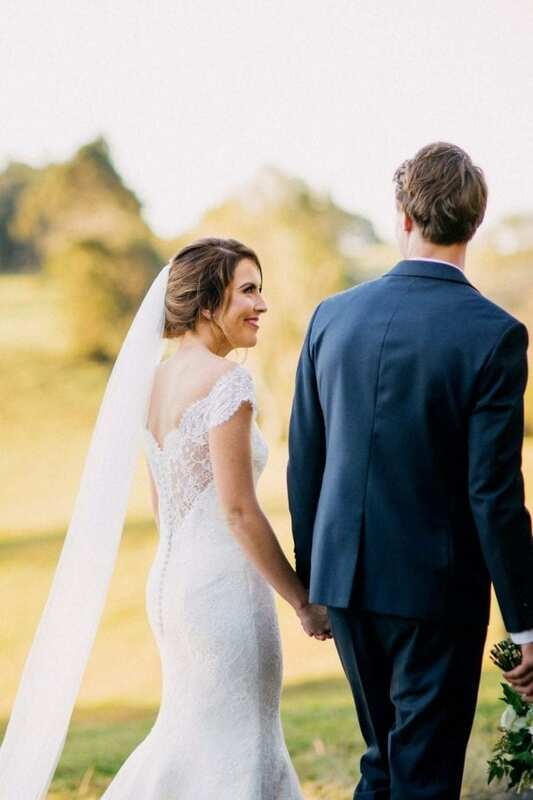 Real White Lily Couture bride, Nicola stole the show at her sunny Spring wedding, walking down the aisle wearing Skyler by Augusta Jones. 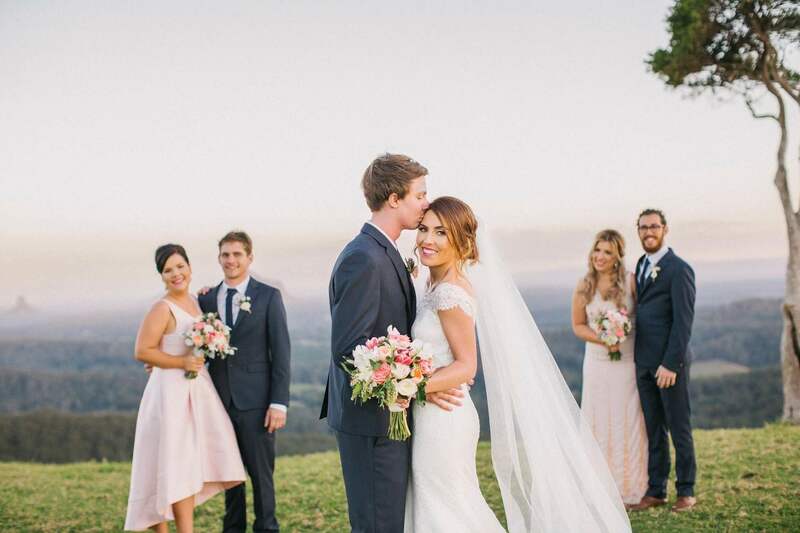 The Sunshine Coast wedding was intimate, shared with friends and loved ones. The gown’s stunning floral French lace detail, subtle scalloped back and boat neckline created a dreamy romantic feel. The beautiful bridesmaids were wearing dusty rose dresses to match the soft pink accents in Nicola’s bouquet. The magical moments of the couple’s special day were captured by Ivory and Rose Photography. We wish Nicola and her husband an abundance of love and happiness for their life together. Photographer: Ivory and Rose Photography.